The HK Vertical pour and modular precast system are specifically designed for use in vertical pour site cast formwork, precast panels or modular precast units. Each sheet of insulation is pre-drilled with holes or marked on one side with dots on 12 inch centers, indicating where ties would normally be inserted into the foam. 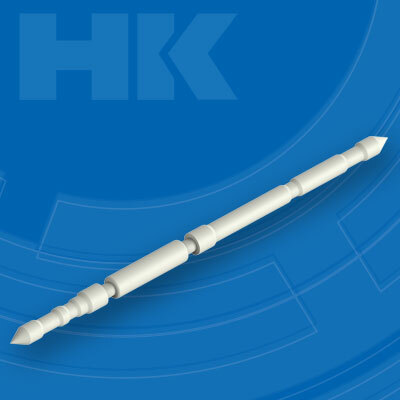 The HK Vertical Pour ties are tested in accordance with the ICC-ES AC 320. The table below displays the testing comparisons of some of our popular Vertical Pour ties. You can view more complete testing reviews for each tie on their individual product pages.